Arizona American Water is a division of American Water, a public utility company. 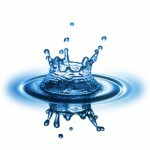 They provide high quality water and waster water services in Arizona. American Water have their origin in the American Water Works & Guarantee Company, in 1886. They are named as American Water Works Company, Inc., in 1947. In between the years 2001 and 2008, the company worked as a subsidiary to the German-based group of RWE. However, they were divested in 2008. Corporate office of Arizona American Water is situated in the region of Phoenix. American Water maintains about eight thousand employees and provide essential service to over 16 million people across the state. They even own various subsidiaries managing water waste systems and drinking water, under contractual basis. There are currently 0 consumer reviews about Arizona American Water available. Share your review. Please take a note that you are about to post a public review about Arizona American Water corporate office on CorporateOffice.com. This review will be public, so please do not post any of your personal information on this website. If you would like to contact the corporate offices of Arizona American Water, please use their contact information such as their phone number, website, and address listed above to contact them. However, sometimes staff from Arizona American Water headquarters do read the reviews on this website.